complete. 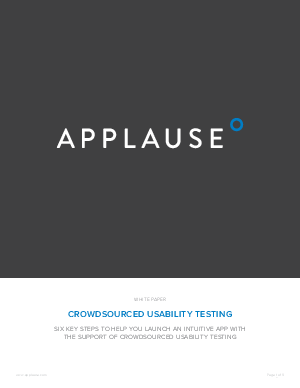 Usability testing doesn’t test whether or not the functions of the application, website or connected device work correctly, but rather that a user intuitively understands how to perform these tasks — and how easy or difficult it was to do so. as a buggy version and can lead to diminished revenue, product abandonment or a total failure. An application with poor usability can also negatively affect a brand’s reputation. With the short patience of today’s consumers, this is an especially dangerous risk to take – you might only get one chance to make a good impression.